November 1-3 held at Southeast Missouri State University in Cape Girardeau, Missouri. 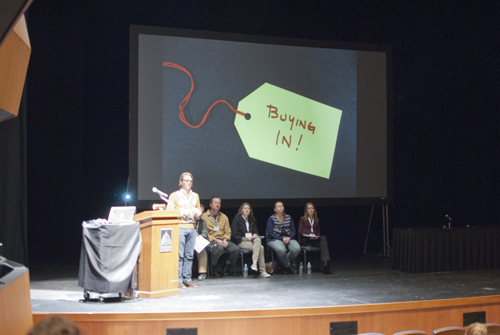 She was part of a panel ”Selling Out” that addressed the academic print shop from an entrepreneurial perspective. See a review of the panel on the contemporary printmaking blog Printeresting!